Use these Grouchy Ladybug Learning Printable activities with your kids. 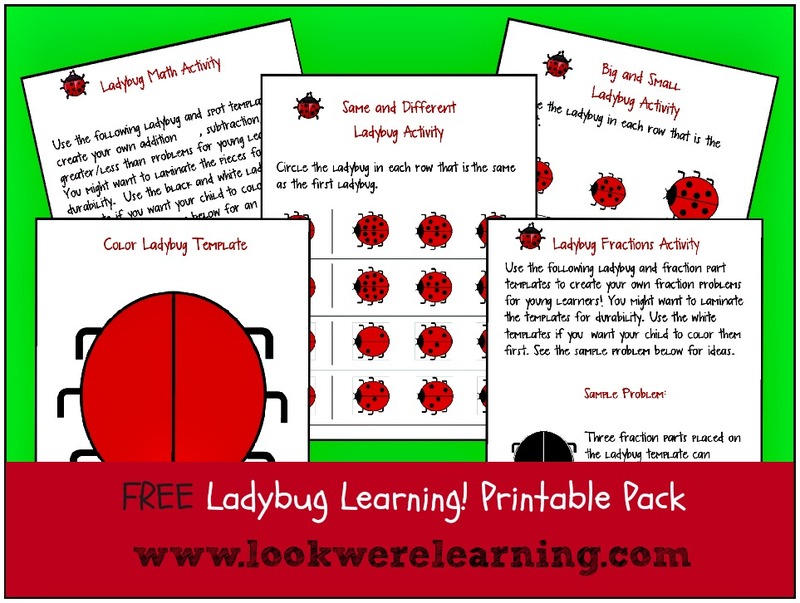 Feel free to download Look Were Learning’s Ladybug Learning Printable Pack! You’ll find math templates, as well as early reading printables that reinforce same and different and big and small concepts.